First Taste with Burial Beer Co.
Set to open this spring, Burial Beer Co. will be one of several businesses sure to revitalize Asheville's South Slope neighborhood and convert the somewhat defunct, semi-industrial part of town into Asheville's new beer district. 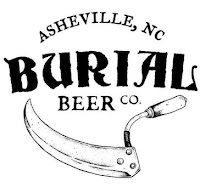 Burial Beer Co. will be within walking distance of Green Man Brewery and Asheville Brewing Company, and soon, Twin Leaf Brewery and a number of new restaurants will join them nearby. I recently sat down with the three owners of Burial Beer Co. to talk about their plans. There's something about looking into the eyes of young entrepreneurs as they share their dreams with you -- you can't help but take part in their excitement. Denver Beer Co. Summer Ale. After some much needed sleep and lots of water, Friday began with another trek up the Cherry Creek Trail towards downtown. I stopped in for lunch at the Kitchen, located on the corner of 16th and Wazee St. in LoDo. Anticipating that some veggies might help soak up the beer ahead, I opted for the Portobello Sandwich. Locally-baked ciabatta with sautéed red onions, gouda cheese, house-made hummus, and greens -- the sandwich was fantastic! 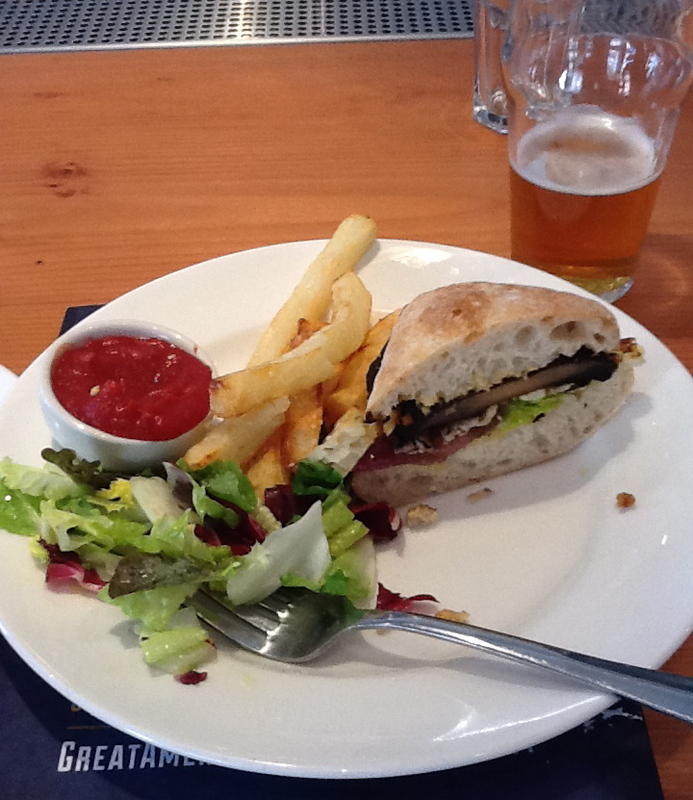 The mushrooms, onions, and greens were all regionally sourced and organic. The sandwich was accompanied by house fries (from organic Idaho potatoes) and homemade ketchup. (Homemade ketchup? Gotta try that!) Some Denver Beer Company Summer Ale washed it down. Awesome. Heading to the festival a little early, I walked around the convention center for a bit sans crowd and snapped some photos.